With a stay at Pai River Villa in Pai, you'll be a 4-minute walk from Wat Klang and 5 minutes by foot from Walking Street. Featured amenities include dry cleaning/laundry services and luggage storage. A roundtrip airport shuttle is complimentary (available on request). Located in Nakhon Ratchasima, V Residence is within a 10-minute drive of Big C Korat 2 and Tesco Lotus Korat. The front desk is staffed during limited hours. Free self parking is available onsite. With a stay at Kiang Dao Resort in Koh Lan, you'll be a 3-minute walk from Na Baan Pier and 15 minutes by foot from Ko Krok. The front desk is staffed during limited hours. 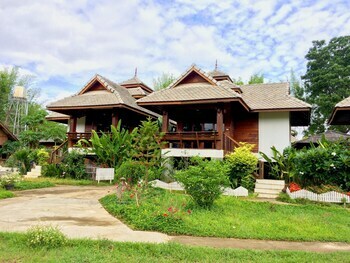 Located in Mae Sai, Wanliya Resort is within a 10-minute drive of Wat Phra That Wai Dao and Mae Sai Shrine. Free self parking is available onsite. Located in Bangkok (Silom), Urban House is within a 15-minute walk of Lumpini Park and Patpong Night Market. Featured amenities include dry cleaning/laundry services and coffee/tea in a common area.